brapa ye harga sekotak coklat nie...? The price varies according to types of chocs and design requested. 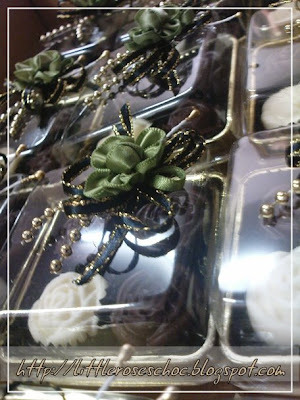 may i know the price range for ur choc doorgift? Hi Anonymous! Email us at littleroses.choc@gmail.com or SMS us at 0166199376 for pricing details and more info. Tq.